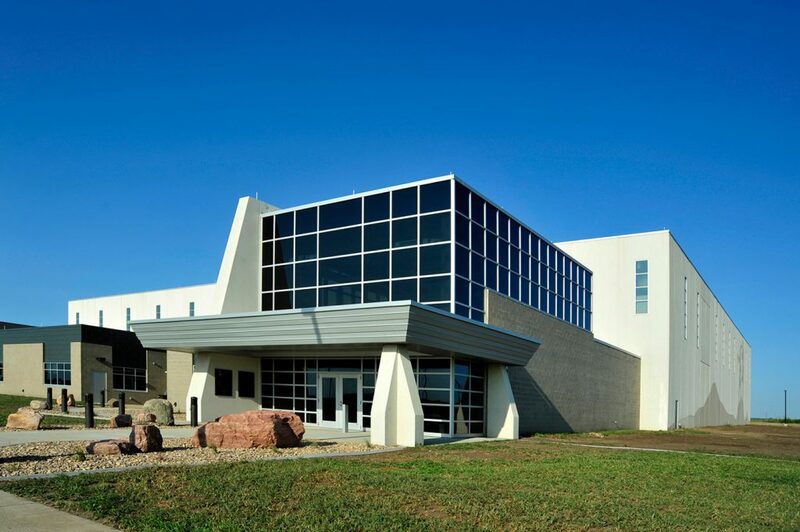 Located two miles north of Vermillion, SD, the plant began operating on July 30, 2012. The conventional lime softening treatment plant with filtration is three levels and includes 251,174 square feet. Next to the plant is a 4.5 million gallon underground reservoir, high service pump station and electrical switchgear building. There are also three lime drying beds and a decant pond nearby. The treatment process makes the water potable by killing or inactivating any pathogenic or disease causing organisms. Minerals such as iron and manganese are also removed, and high levels of hardness are reduced to approximately 9 grains per gallon. A small amount of fluoride is added to the water and the water is disinfected with sodium hypochlorite (a.k.a. bleach solution). A small amount of ammonia is also added to the water to keep the chlorine at acceptable levels throughout the long distribution system. This disinfection process is called “chloramination”. Lewis & Clark’s lime softening system includes two RDP Technologies lime slakers, four WesTech solids contact upflow clairfiers, a sludge thickener and associated valves, meters and pumps. A TomCo2 carbon dioxide feed system and recarbonation basins are used to adjust the pH of the water. The filters are constant rate, dual media (sand and anthracite) with a Leopold underdrain system. The plant currently has “firm capacity” of approximately 32 million gallons a day (MGD), which is the capacity with one high service pump in standby mode. Additional equipment will be added in the future as demands necessitate to increase firm capacity to 45 MGD.